How should we live as Christians in our world? As followers of Jesus Christ, we live in a world that is fallen—where the culture is driven by views that run counter to our faith. But through the story of Joseph, we see how God is leading us to infiltrate our culture. To be light in the darkness. Salt in a decaying environment. "The petunia in the onion patch." 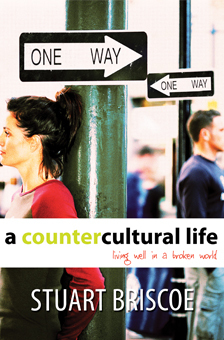 In his book, A Countercultural Life: Living Well in a Broken World, Stuart Briscoe uses the example of this truly remarkable man from Genesis to show how you, too, can live counter to the culture as you follow wholeheartedly after God in a broken world. You will find related teaching in Stuart's 10-message series on the life of Joseph in How to Live a Productive Life. Successfully added A Countercultural Life to your cart.